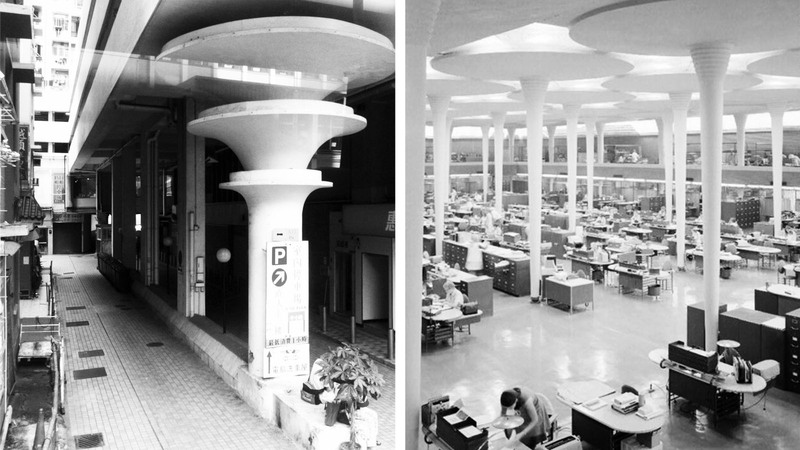 In the 1930’s, Frank Lloyd Wright was commissioned by Herbert Johnson to design the headquarters for S.C. Johnson & Son, a company specializing in household cleaning supplies. One of the key features of the design was the “Great Workroom”, a communal space whereby staff of the company could work within a vast expanse of space while the administrators watched from the mezzanine above. To support this space, Wright designed the dendriform column, a concrete structure inspired by the organic form of trees. Representing a time when architects began looking at nature for inspiration of form after the liberation from the strict classical languages, the dendriform columns serve both the functional purpose of structure as well as the aesthetic purpose of defining the space of the office as a romantic personification of the lily pad. Overtime, the form filters down from its lineage as a functional ornament and language for an entire building towards a decorative embroidery.